There is a general consensus, here in the US, that winter is the worst season (unless you’re a skier or snowboarder, of course). But winter really isn’t that bad. Actually, it’s kind of great. No mosquitos. Magical snow. Lots of cozy blankets. Hot cocoa! But, alas, some of us have learned to simply dread wintertime—but it doesn’t have to be miserable. If you’d like to actually start enjoying your winter experience, try these tips. Accept that winter is coming. No, not just in Games of Thrones–in real life, too. Don’t foolishly put on a thin pair of jeans and a light jacket and try to ignore the bitter cold. That’ll just make you miserable. Give winter the respect it deserves by dressing for the cold. You’ll be amazed at how much warmer and more comfortable you become when you actually prepare. Winter isn’t an inconvenience, it’s a fact of life (depending on where you live, of course). While you’re at it, invest in that full-spectrum light to preventatively ward off seasonal affective disorder. Acknowledge that your habits will have to change with the seasons. Your rituals and habits for the summer cannot be the same as the ones you practice in the winter. Our bodies need different things throughout the seasons. Be flexible and seasonal. Wake up earlier to clean off your car, but make sure a hot cup of tea is waiting for you when you return. Light a candle to add some calming ambience to dark winter mornings. Indulge in all that is cozy and wonderful. 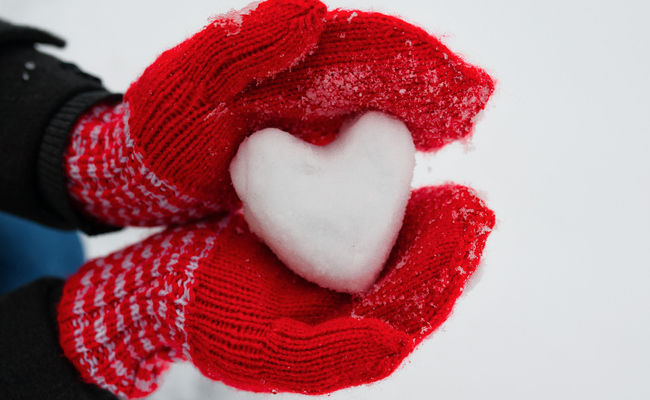 Make your winter rituals enjoyable and special, and the cold won’t feel so bad. Make sure you still go outside! Just because it’s cold doesn’t mean you have an excuse to binge watch Netflix all winter. You still need outdoors time. The natural light alone is a huge mood booster. Continue taking walks daily, and seek out nature whenever you can. Being outside in the snow and cold can make you appreciate winter from a whole new perspective. Winter isn’t just about shoveling driveways and suffering frigid temperatures—if that’s all winter is to you, no wonder you are miserable. Admire the snow that sticks to the branches, transforming the world into a winter wonderland. Go sledding. Warm yourself with mulled cider. Change your perspective by embracing the outdoors, not rejecting them. When you say something often enough, you begin to believe it. Something a lot of us tend bond over is how dreadful the winter weather is. We absolutely love complaining about the cold, sleet, and snow! It’s a surefire conversation starter, and almost everyone will agree with you—it’s an easy way to feel connected. But don’t be that person. Stop dissing winter. Recite the positive aspects of the weather—like getting to enjoy hot cocoa and wool socks. Yes, you’ll be that annoying optimist, but you’ll eventually realize that you’re not as annoyed with winter as you think you are. People love projecting their opinions upon others. Don’t let other grumps ruin your once-magical relationship with winter. Winter is what you make of it. 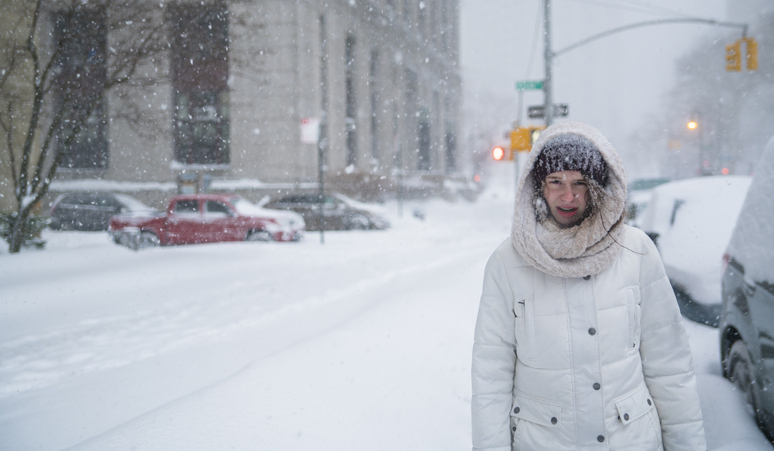 The good news is the body actually physiologically adapts to the cold when exposed to it for 10 days or more. That’s why 40 degree days in November feel freezing and 40 degree days in March feel like a beach day. So, most of our winter discomfort is purely psychological. 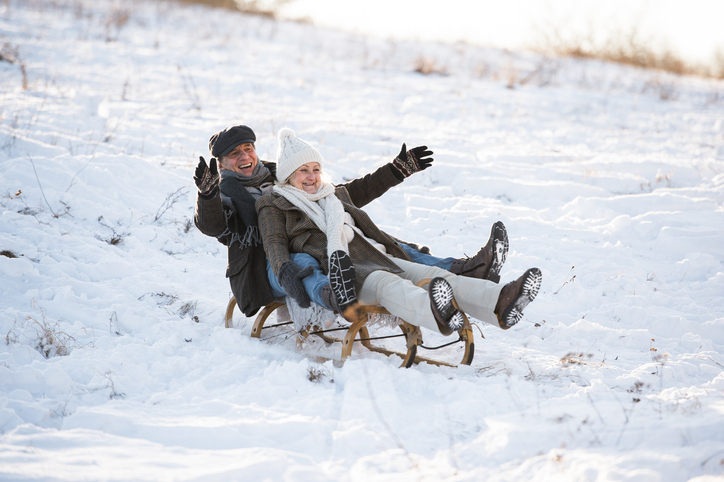 Get a handle on your relationship with winter this year before the cold fully strikes, and prepare to enjoy the season in a way you haven’t since you were 10. Just indulge in the season and have fun! Not me! I tried it in my young adult years, much hardier than now, and felt like I was about to die a lot of the time (I live a very simple rural lifestyle and have never had central heating). Brrr! Enjoy if you can! I love how the seasons change in Philly, but, NO I cannot learn to love winter.